These tongue piercings come with a hart shaped acrylic ball on top. These harts have amazingly bright colors. 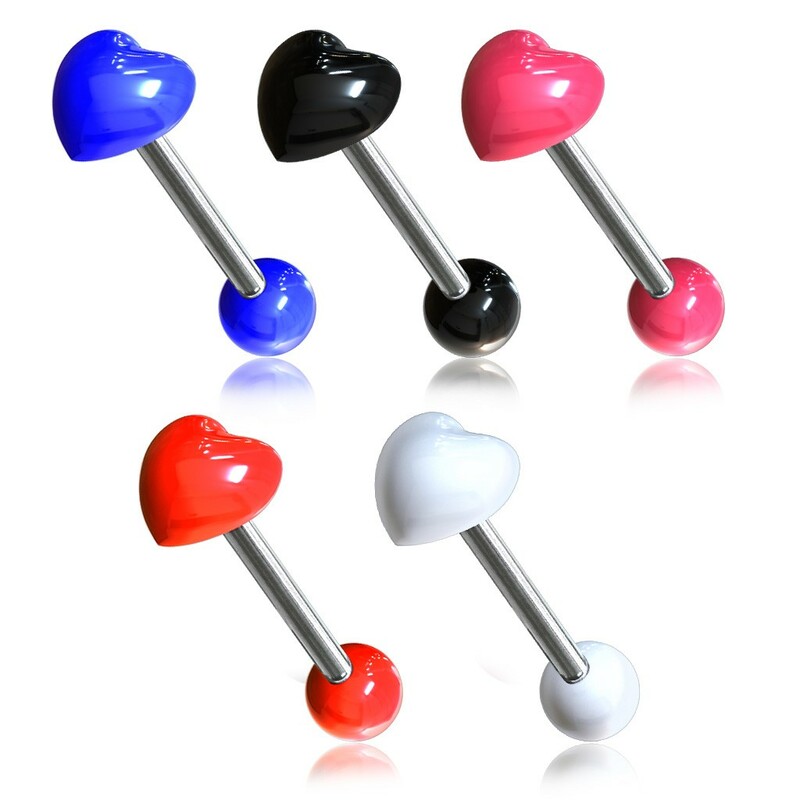 The screw balls at the bottom of each piercing come in the same color as the hart figure. 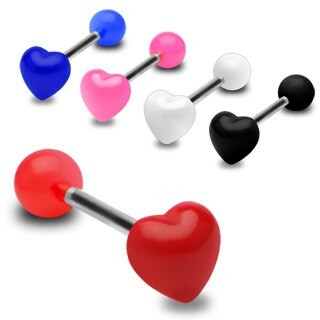 These piercings are made of surgical steel and acrylic.